Thank you to Mark Worthing! 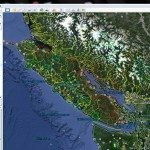 On March 11, 2016 Sierra Club BC’s biodiversity and forests campaigner Mark Worthing traveled with investigative journalist Ben Parfitt to Powell River to speak at Sierra Club Malaspina’s event “Are Forests Forever?” Following the event, the wonderful Malaspina group sent some kind words to thank Mark and Ben for their contributions and dedication. You could have heard a pin drop while Mark Worthing talked about his extensive exploration of B.C.’s coastal estuaries and rainforests. He brings a kind-hearted approach to radical discourses like decolonizing, solitary work and direct action. He talked about his work as a tree-planter (which payed for his education) and how that work gave him claw like hands. His passionate enthusiasm, of our B.C. forests and wildlife sure won my heart. Google “Mark Worthing” to view his vast experience of B.C. forests, his education and activism. I am sometimes cynical on what is happening to our forests and precious resources, but this young man gave me back my spark and hope. 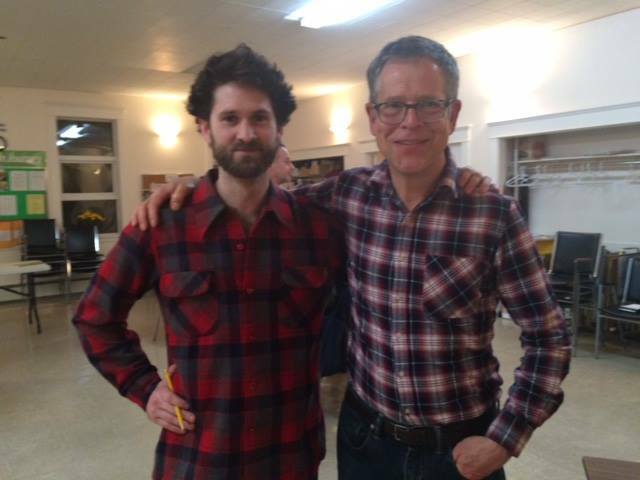 We were so honoured and grateful to have Ben Parfitt speak as well at the “Are Forests Forever” event. Most of you know of Ben as a freelance writer, researcher and commentator on natural resources, business, environmental and social justice and more. Ben is the author of Forest Follies: Adventures and Misadventures in the Great Canadian Forests. I was not alone in wanting this evening with Ben and Mark never to end. Thank you Mark & Ben. We sincerely hope that you can visit Powell River again soon. Thank you to Sierra Club Malaspina for hosting this wonderful event! To find out more about Sierra Club local groups go HERE or email Ana Simeon.